One of the photography skills I am trying to perfect is taking shots of birds in flight. 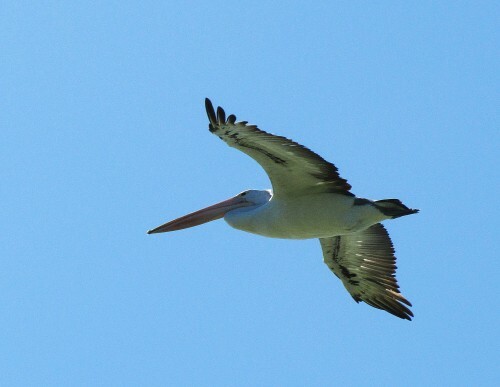 I don’t get all that many opportunities to practise, so when birds cooperate and fly slowly just over head I have a go – provided I have my camera at the ready. 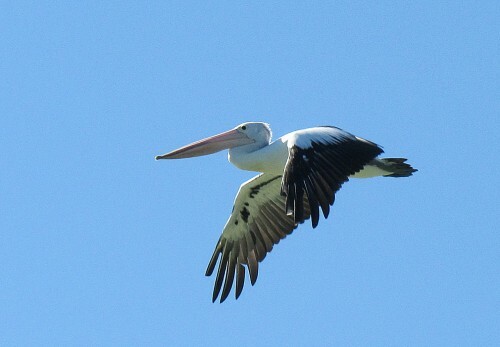 On our recent trip across Lake Alexandrina (see previous two posts) several Australian Pelicans flew low over our boat, circling it several times before moving on elsewhere. I had the camera in my hand since I was taking photos of the nearby cliffs and it was ready to shoot.